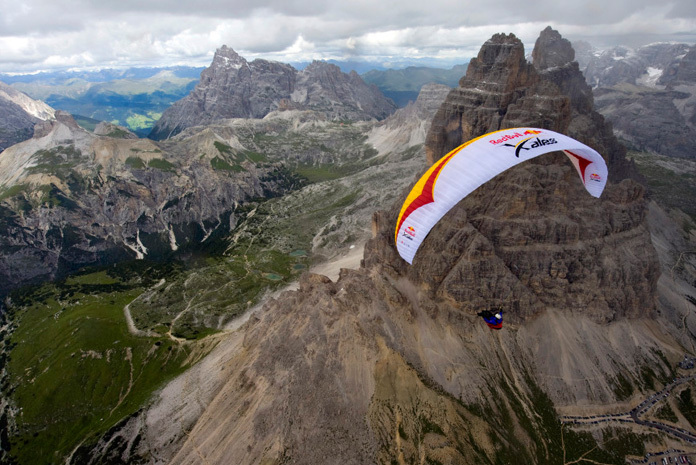 The Dolomites area is again at risk of being closed to free flight. The search and rescue helicopter service in the Dolomites area (Canazei, Col Rodella, Pordoi, Marmolada) struggle when hundreds of pilots, from all over Europe, keep flying during active rescue operations and not allowing the helicopter to properly operate. This inhibits their ability to help fellow free flight pilots that need assistance. The situation is so bad that the authorities will close the area if we as a community can’t manage to solve this problem. In order to keep everybody safe and to keep this beautiful area open to free flight, all pilots flying in the Dolomites area are requested to follow the 7 guidelines below. 2) Starting from this year, we start experimenting with a radio channel reserved to flight safety. Keep a radio always listening on the safety radio channel that we call “8-16” which is PMR channel 8 with CTSS subtone 16. For the most technical pilots the frequency is 446,09375 Mhz + subtone 114,8 Hz This radio channel will be used to provide instructions during rescue operations and for any other safety-related communication. Keep the channel free, don’t use it for non-safety communications. PMR radios are cheap and light. Getting a second radio just for this safety channel is a good choice: it will be your cheapest piece of safety equipment. Communication during emergencies is very important. 5) If there is no other way to communicate with them, use the “ears” with the paraglider as a way to communicate that they also have to leave the area. 6) Don’t stay in front of the helicopter when it’s hovering. Even when you think that the helicopter has reached it’s operation place and that it’s safe to keep flying, the helicopter is probably waiting for free flight pilots (including yourself) to move away in order to proceed to the rescue area.